We are one of the largest fabricators of Windows & Doors in Pakistan. We have presence in the three largest cities of Pakistan: Karachi, Lahore & Islamabad. We have complete in-house facilities to manufacture uPVC, Wood & Aluminum windows & doors. We extrude our own profiles that are specially made for hot regions. We import rust-resistant accessories from the best suppliers in the world. 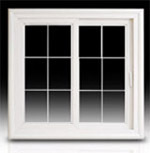 We try to provide our customers with world-class window solutions.